I mentioned in my first post that one challenge I sometimes gave myself when trying to make vanilla Minecraft more interesting was to not allow myself to branch mine. This is a common rule in UHC matches, and I found that it generally made the earlier stages of the game take longer and be more challenging. With the new combat mechanics introduced in version 1.9 that’s even more true. And honestly, once you get the basics of branch mining, it’s quite easy to avoid exploring caves altogether. 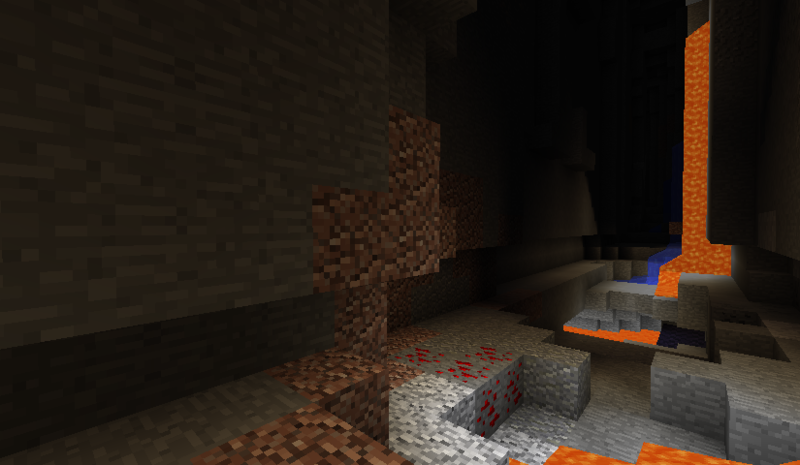 With branch mining you come across all the necessary ores and lava as well. Plus you avoid the majority of the monsters. The only inducement I can think of is to find dungeons, but I’ve found as many of those branch mining as I have caving. So, if this is a good challenge to introduce, how would it be done? How do you encourage, or almost enforce the exploration of caves? To do this I came up with the idea of hard stone. Hard stone is stone that is surrounded by other stone, ores, or dirt, and it takes longer to mine. So any stone block (stone, andesite, diorite, granite) can become hardened if it’s fully surrounded. And any hard stone will revert to normal if it’s not surrounded. But there is a delay, otherwise, you could just branch mine, because as soon as a stone is un-surrounded it would become un-hard. So Iberia uses the same algorithm for growing plants to convert stone to hard stone and vice versa. On average a surrounded stone block will become hard stone in the same amount of time that a crop will grow one stage. Now that we’ve got stone and hard stone conversion worked out, what about the mining speed? It needs to be long enough to discourage branch mining. And there’s not really any reason to keep it short. There is so much exposed un-hard stone in a world, that it’s still quite easy to get the stone you need for crafting. As such, I went with a default slowdown of ten times as long to mine hard stone. Of course, by encouraging more caving, Iberia shouldn’t then eliminate mining. It is called Minecraft after all. Given how easy it is to find iron at or near the surface, the slowdown needs to apply to iron tools. But gold takes much more work to get when caving, and diamond as well. So it makes sense to make gold and diamond pickaxes exempt from the mining slowdown. Now that the feature is fleshed out a bit more, we can see how it affects your choices. 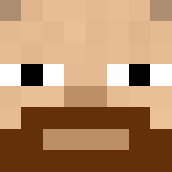 Early game, you’ll definitely want to explore caves to get the ores you need. Although another option is to collect the necessary materials and mine using TNT. Either way, once you’ve found gold, you have an extra use for it and a legitimate reason to make a tool from gold. Given how quickly gold tools break, your gold pickaxes may be used only in certain situations, like when you can hear monsters through a wall, or want to mine around a vein of diamond ore to make sure you don’t lose any. Of course, if you find enough gold, you could do some limited branch mining with it. Additionally, the early game technique of mining out a hidey-hole for your first home will be difficult, unless you do it in a pile of dirt. So hard stone will push you to build a real home earlier, whether it’s with dirt, or wood, or cobble you mined from exposed stone. Finally, this feature will make it harder to rack up large amounts of stone the traditional way, which is branch mining. Instead it will encourage you to create a stone quarry, where you expose a large area of stone so that as you work to mine it out, there is time for the exposed stone to un-harden. Now we can ask if hard stone meets our goals for the Iberia mod. Does it make Minecraft harder? Definitely in the early game it does, until you are able to get diamond tools. Next, does it preserve the vanilla feel? This is more subjective, but I think it does. No new blocks or items are added. Does it enhance the gameplay? Again, subjective. But all of the effects discussed above definitely add variety and choice to the game. And that’s better gameplay in a sandbox game like Minecraft. Finally, does it encourage the use of under-appreciated features or approaches? I say yes: TNT, exploring caves, gold tools, stone quarries, at a minimum.